Create employee documents the easy and fast way! When the HR organization communicates with employees about employment and other important and/or legislation-dependent documents, it is important that the process and the documents are effective and without errors. 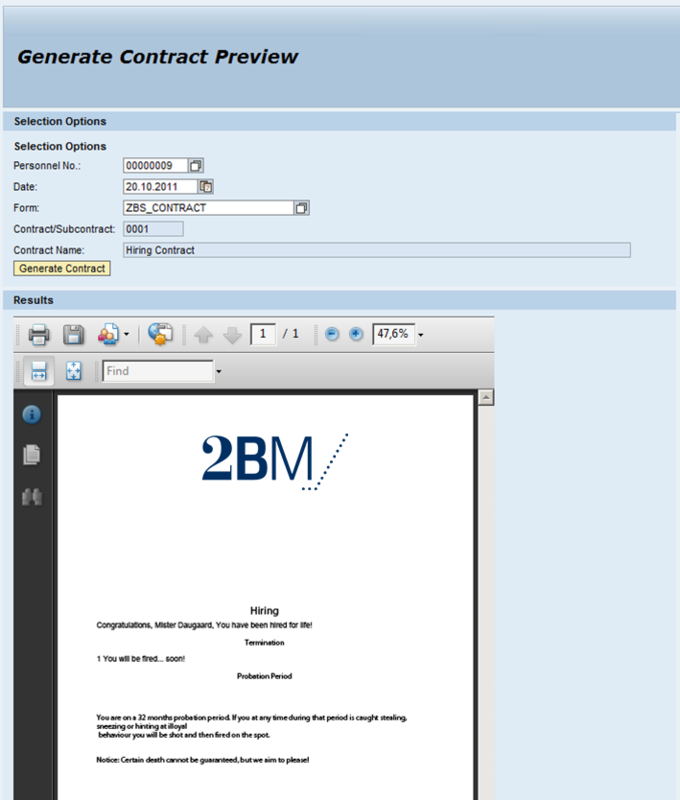 The 2BM Contract Generator is a tool in which you can pre-define contracts and processes with workflows. It is an easy-to-use tool which streamlines the processes between the involved parties and automates the data, which will result in less time used and correct contracts. 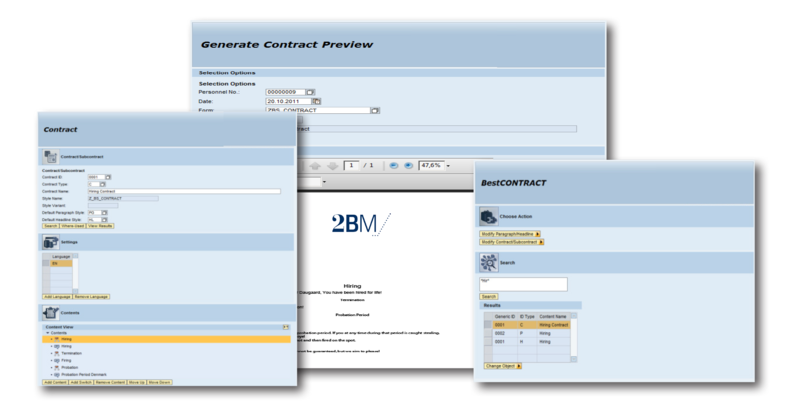 The Contract Generator is the easiest way to build and/or automatically generate official employee documents. Easily create and maintain document templates e.g. : employment contracts, bonus letters, etc. 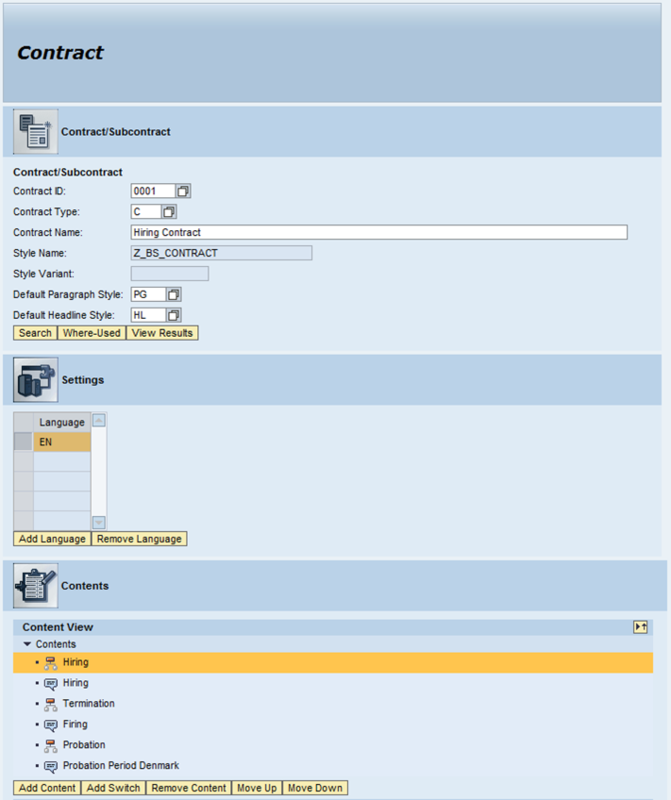 Add SAP data, e.g. : name, address, workplace, work schedule, etc.